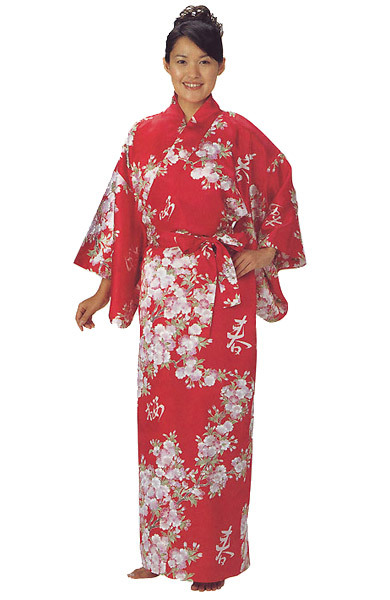 Yukata are a casual type of kimono, easy to wear, light, and comfortable. This yukata is a lightweight print kimono and features a beautiful pink sakura (cherry blossom) pattern against a striking red background. This yukata features a beautiful pink sakura pattern and kanji symbols for sakura and spring against a striking red background. Sakura are cherry blossoms and one of the most famous symbols of Japan.